Every donation counts, no matter how big or small. Help change a life today! 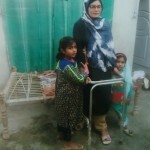 The Society for Multiple Sclerosis Patients in Pakistan is funded solely by donations provided by our generous donors and fee collected from community members. Without your support, the Society for Multiple Sclerosis Patients would not exist. Treatment for Multiple Sclerosis includes medical test costs, such as MRI, other tests advised by the doctors, medications and injections, doctor fees and more. At the Society for Multiple Sclerosis Patients, our aim is to create awareness about Multiple Sclerosis (MS) among the general population and to help in early and proper diagnosis in patients showing symptoms similar to Multiple Sclerosis. We also provide medical support and relief to poor patients affected by Multiple Sclerosis. Download and print the PDF donation form. You can specify to stay “anonymous” if you wish to. 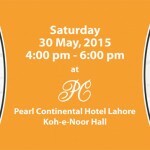 Your donations will help provide medical assistance to poor and deserving MS patients in Pakistan. Help make a difference in their lives today. 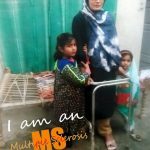 The Society for Multiple Sclerosis Patients in Pakistan is a non-profit organization registered under the Societies Registration Act XXI of 1860. Society Registration details can be checked and downloaded here.